Our ‘take’ on motoring’s latest happenings is not the usual one. The relentless babble of new model news and carmakers’ announcements is not for us. We’d rather bring you the strange and the wonderful to make you smile, laced with the offbeat and serious that’ll have you raising an eyebrow. Browse, Share and enjoy. Cats are independent creatures. Most certainly wouldn't relish a ride perched on the bonnet..
Borgward: back from the past? Yellow Corsa – spoils the view? When the going gets tough for the economy, the tough go shopping… for luxury cars. Driving in some other parts of the globe brings with it a whole world of risk and mayhem. Here at Autoweb.co.uk, we’re suckers for tales whenever animals are involved. And this one is a doozy. The day wasn’t going well. Caine Hutchings planned to propose to his girl friend, Emily Dukeson. 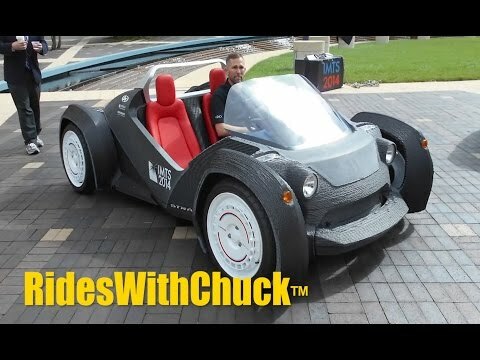 A US company has unveiled a new two-seater vehicle that you build yourself, direct from your 3D printer. At last, the truth is out. The UK’s so-called scrappage scheme meant many classics met an untimely end. Ooer! It’s hard to imagine what this Californian driver did to perch his two-door sedan so precariously. Maybe it was the burble from the V12 engine. Or, perhaps, it was because the Italian supercar was parked illegally. Ever had an itch so bad that, no matter what, you must stop whatever you’re doing and scratch? 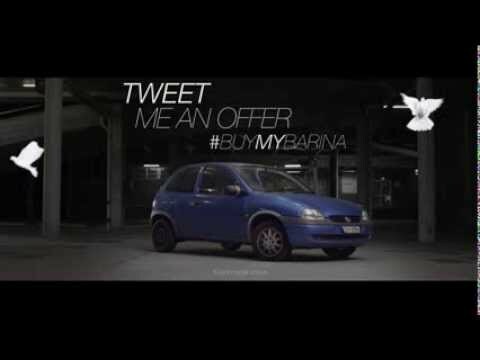 Ever heard of the Holden Barina? No, us neither. All the same, we think you should watch this video commercial. We’ll never know what was going through this fella's mind. But it must have been something pretty irrational. This tale has more than a whiff of urban myth about it. It is believable, but we're not entirely convinced. Would you pick up a hitchhiking robot? Plenty of motorists across Canada have. Looking at where this Citroen Picasso has finished up, it’s hard to imagine what was going through this driver’s mind.